Fresh air, green trees, bodies of water ... I just returned from a rejuvenating trip to visit my mom in the Pacific Northwest. I'm so excited to be partnered with O By Oscar De La Renta to share my sunglasses pick for this summer's travels! Sunnies are naturally a travel essential, and I've found it easiest for efficient packing to pick one or two favorite frames that will pair with most outfits. For an area filled with boats, ports, mountains and trees, I planned retro outfits that would look best in such terrains, and this ended up being mainly shades of blue, white, red, and black. 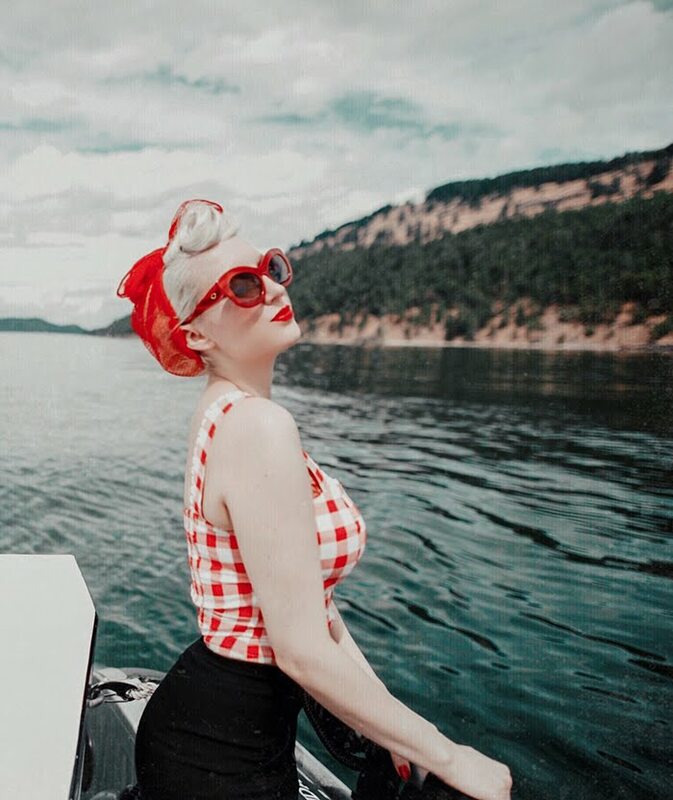 The red Oversized Cat Eye with thick frames from O By Oscar was the perfect choice for my trip... not only is does it exude vintage glamour, but it perfectly matched 90% of the outfits in my suitcase! Oversized Cat Eye coming this Fall! 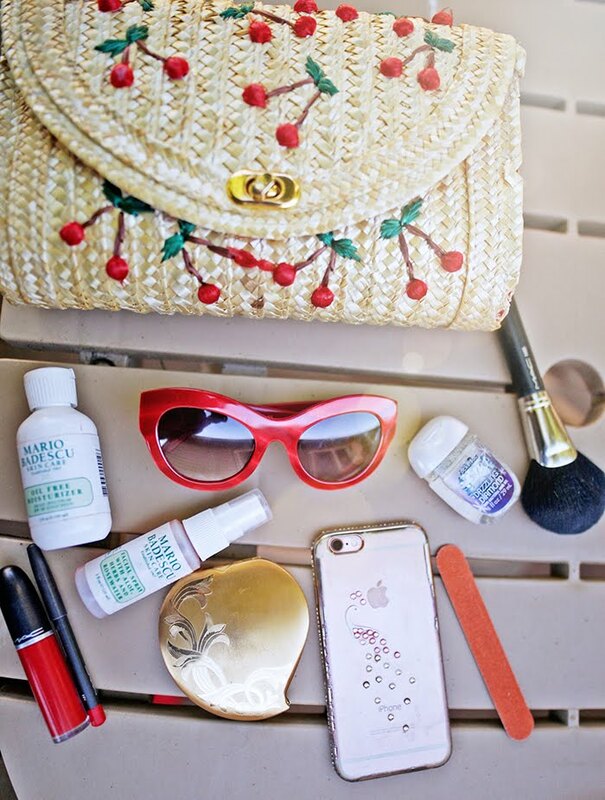 What's in my bag, travel edition! * Mac Cosmetics Retro Matte Liquid Lipcolor in "feels so grand"
* Mac Cosmetics Lip Liner in "cherry"
* Mac Cosmetics 140 Full Fan Brush - my favorite brush, I use it every day!